Carriage Driving is the only monthly magazine dedicated entirely to sport and recreation with the harness horse. 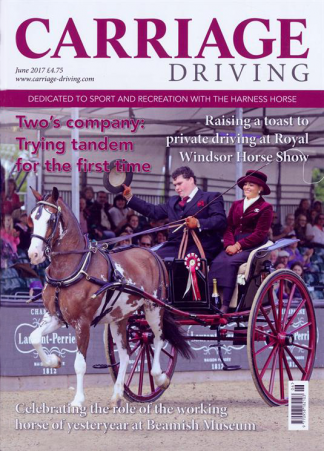 It is a must-read publication for all carriage driving enthusiasts, covering all aspects of recreational and competitive driving, including private driving, light trade, coaching, show Hackneys, scurry driving and horse driving trials. All UK subscribers receive a free Carriage Driving calendar with their December issue, which includes all those important driving dates, providing an invaluable source of information together with some stunning photography. Be the first person to tell us what you think about Carriage Driving and you'll save £2.50 on your next purchase!